Have a Form pop up when a link, button, or image is clicked. 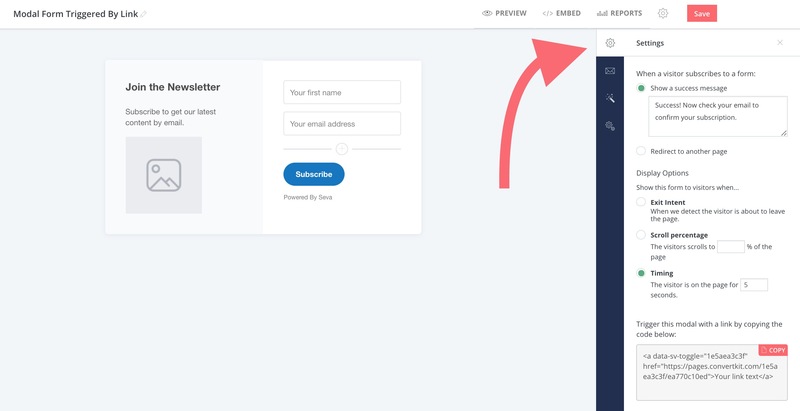 Sumo did a study on 2 billion (yes, BILLION) email pop-ups, and found that on average, these types of Forms have a 3.09% conversion rate, with the top Forms converting at 9.28%. That is a lot of email Subscribers! 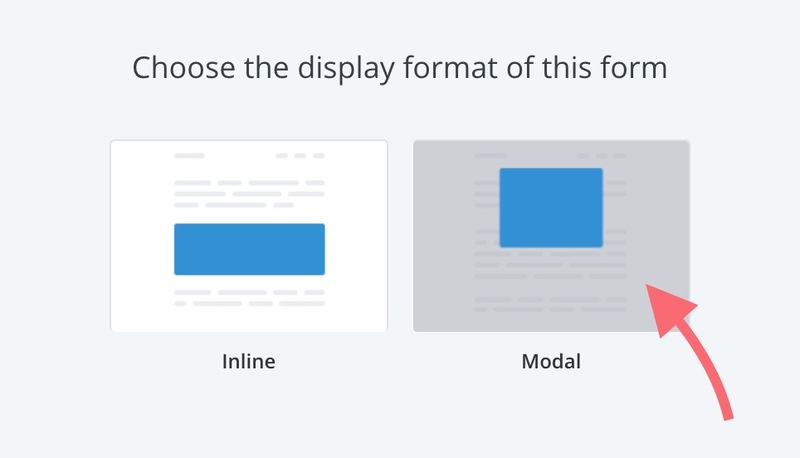 One way to create a Modal for your site is to place it behind a Link, Image, or Button. Let's look at how to set this up! Ready to try this for yourself? Here we go. Create a new form by going to the Form Tab and selecting the Form box. Select the Modal style Form. You can then choose to display it upon exit intent (when the viewer moves their mouse outside the browser window), timing, or scroll percentage. Click on the little cog icon to find these settings. Or you can trigger it manually with a link click. That's what we'll do here! 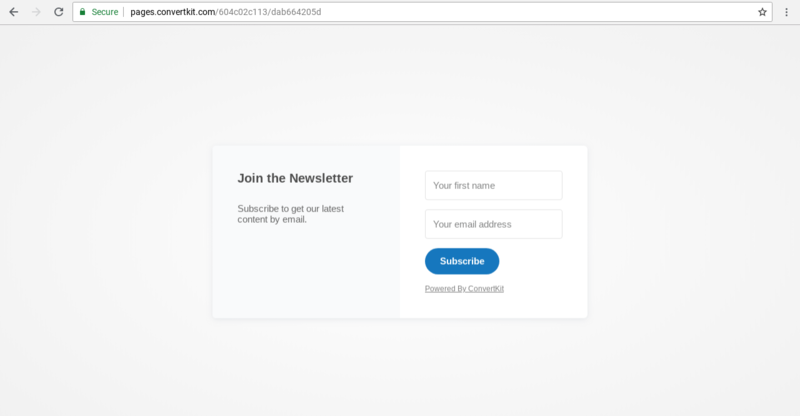 <a data-sv-toggle="604c02c113" href="https://pages.convertkit.com/604c02c113/dab664205d">Your link text</a>Just replace the "Your link text" with what you actually want the link to say. Do you want to trigger your modal with an image? The instructions are similar, but instead of writing link text, you'll place an image instead! Just replace <img src="IMAGE LINK"> with the link to your hosted image! 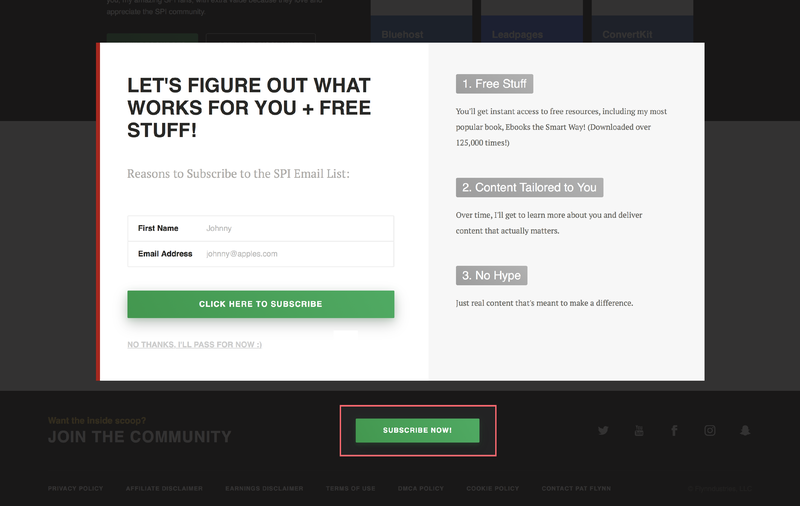 Do you want to trigger your modal with a button? The instructions are similar, but you need slightly different code. Styling the button will be heavily dependent on your website's theme, so please refer to your theme's support for detailed instructions. NOTE: Don't forget to change "604c02c113" to your Form code in the Form you are using. Now save everything and refresh the page. When you click the link the modal should appear. 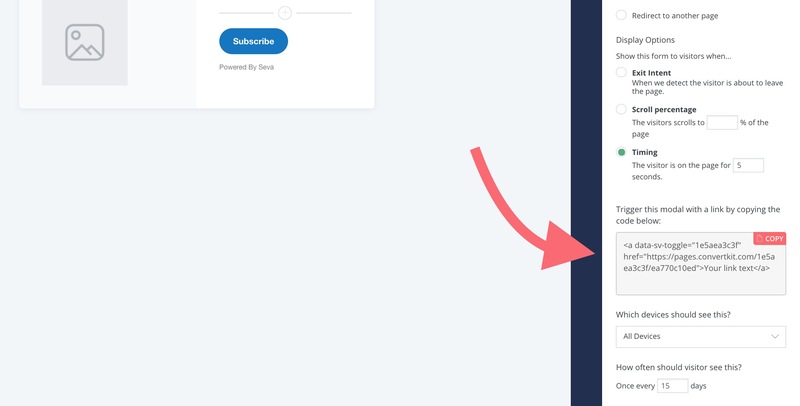 NOTE: If you only want the modal to appear based on the click you can set the timing really high (9999 seconds) or set the scroll percentage to 100%.